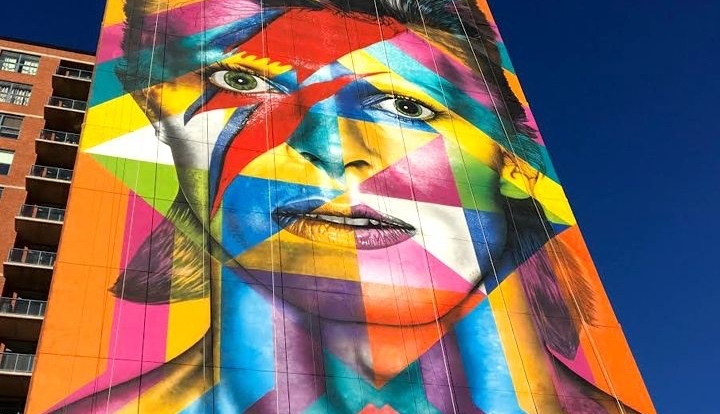 Recently in the news for setting the Guiness Book of World Records for the “latest spray paint mural by a team” with his Rio Olympic-inspired Ethnicities, self-taught Brzailian artist Eduardo Kobra has brought his extraordinary talents to Jersey City. 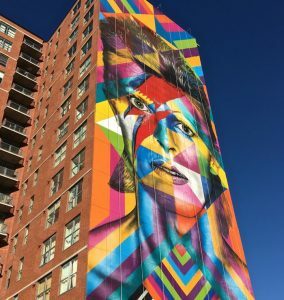 Kobra’s rendition of pop icon David Bowie is the most recent addition to Jersey City’s more than 86 other public art works as part of the city’s Mural Arts Program launched in 2013 by Mayor Steven Fulop. This past Friday, a dedication ceremony was held at Jersey City’s Cast Iron Lofts where I had the opportunity to pose a few questions to the artist. When did you first paint in an outdoor venue? Everything I had seen and read about what was happening in New York City. Can you tell us something about the first huge mural that you painted? It was in Lyon, France. It was a tribute piece to immigrants in a building that was about to be dismantled. Approximately how many huge murals have you painted since? Over 30 in more than 20 countries. The figures you’ve painted range from pop icons like John Lennon and Bob Dylan to historical figures including Ghandi and Nelson Mandela. 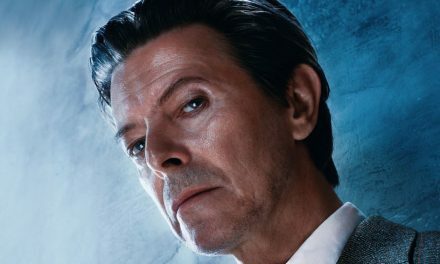 What inspired you to paint David Bowie here in Jersey City? 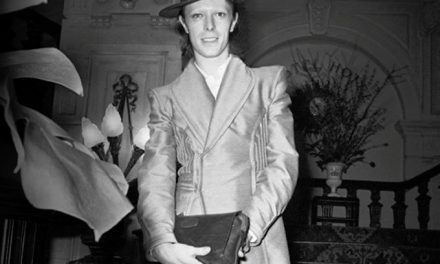 Bowie’s creativity and vision had always inspired me. I’d actually painted this portrait six years ago on a canvas, and I was delighted to have the opportunity to paint it here in Jersey City on such a tall building. 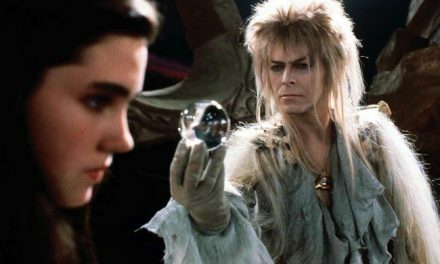 It is my way of keeping his memory alive among people who embrace him. What was the greatest challenge that you’ve faced these past two weeks since you began painting here? The height of the building is intimidating! And the mural, itself, is 180 feet tall. How have folks responded to the mural? They love it. The response has been overwhelming. 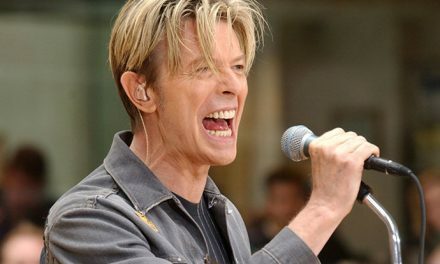 PreviousCarlos Alomar :He had orange hair and he was white; I had an Afro and I was black.